To the city of Las Vegas, the name Goodman evokes memories of our charismatic ex-mayor and pop culture icon – Oscar Goodman. 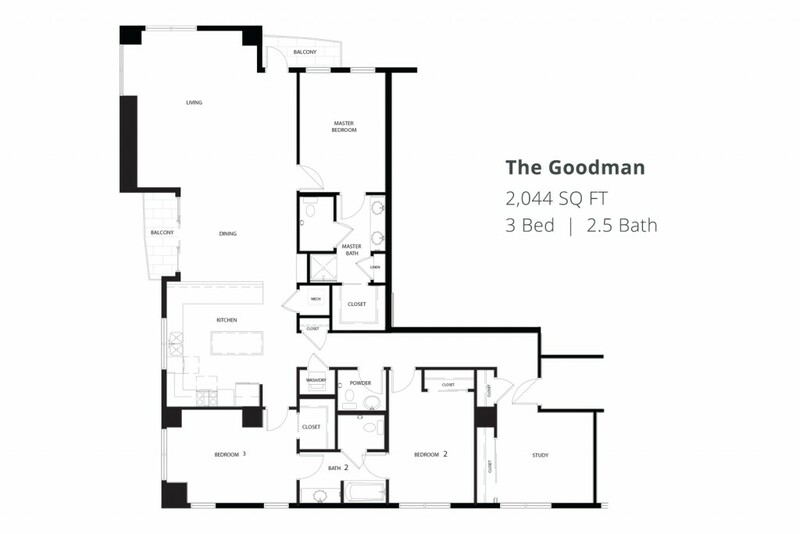 At The Ogden, we chose the Goodman name to represent one of our finest residential offerings and our most generous floor plan. The three-bedroom homes offer seamless, open-concept luxury living on The Ogden’s upper floors. Each is a corner residence capturing magnificent views of the city to the South, East and West, and the mountains beyond. Inside The Goodman, a gourmet kitchen, with granite countertops and stainless steel appliances, flows effortlessly into the comfortable living and dining areas, featuring oversized picture windows and two private balconies. Three bedrooms and a separate den offer ample living space in the heart of Downtown Las Vegas. 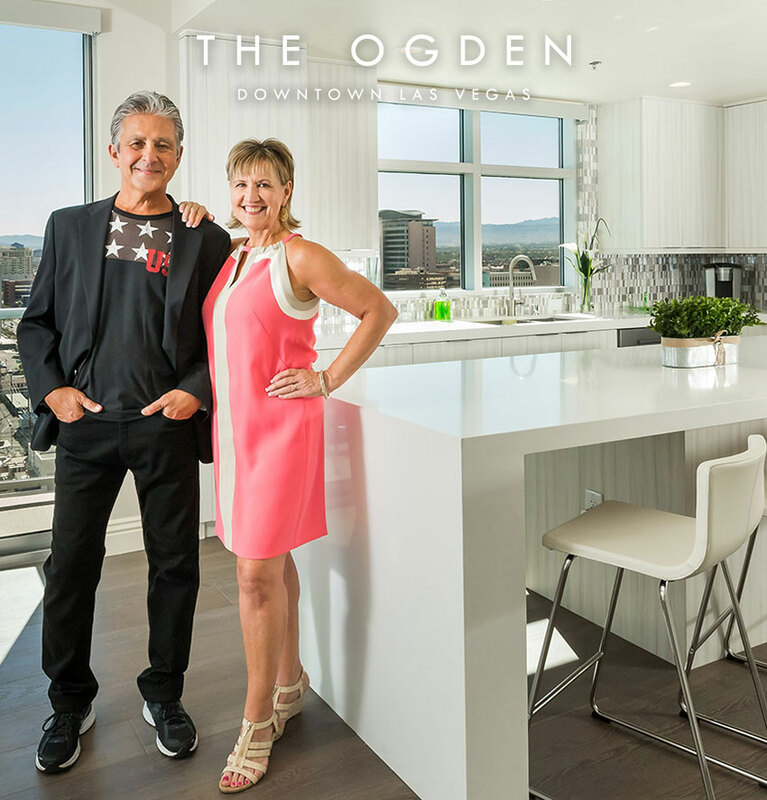 Avail yourself to newly reimagined lifestyle amenities and services at The Ogden, including a Sky Deck, rooftop pool, dedicated concierge staff, fitness studio and pet park. Steps away, enjoy an exciting array of dining options, a community grocery market, an eclectic mix of independent boutiques and the hip urban culture of our Downtown neighborhood. This is the new Las Vegas, and The Goodman is your personal retreat, your sanctuary towering above it all. For a limited time, all of The Goodman floor plans offer a 2% buyer incentive, which can be applied towards closing costs or HOA dues. Contact a Condominium Specialist for details at 702.478.4700. Schedule a private presentation of The Goodman today.